John has practiced in the Seattle area for 20 years. 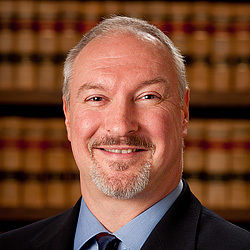 After obtaining his Bachelor of Arts from the University of Washington, he obtained his juris doctor from Seattle University School of Law where he was an Associate Editor of the Law Review, the school’s law journal. Prior to forming Hugg & Associates, John assisted clients with numerous business transactions, estate planning, contractual matters, real estate and bankruptcy issues while he was associated with Seattle area law firms. John is active in the Bothell community where he is a member of the Greater Bothell Chamber of Commerce and currently co-chairs the Chamber’s Senior Resource Committee. He is also a frequent speaker on the topics of estate planning and probate. John serves clients within the areas of King, Snohomish and outlying counties; including Seattle, Bellevue, Bothell, Woodinville, Kenmore, Kirkland, Issaquah, Redmond, Lynnwood, Everett, Mill Creek, Edmonds, Shoreline, Lake Forest Park, Monroe, Snohomish, Mountlake Terrace, Bellingham, Poulsbo, Bainbridge Island, Mercer Island and West Seattle.